I have mentioned before that I love coffee. I can’t start my day without it. I am not usually a flavored coffee person, but I thought I’d give the Dunkin’ Donuts Coffee at Grocery flavored products a try. They sent me a bag of Dunkin’ Donuts Strawberry Shortcake and Toasted Almond to try. I really liked the Toasted Almond flavor, and I have to say that the Strawberry Shortcake smelled divine. I like my coffee to come out of the pot pretty much snarling with dark roasted attitude, so the Strawberry was a bit too mild for me, but I have a niece who was totally up for trying it out. The Almond was a better fit for me. A real treat! I liked the little pick-me-up that I got from a mid afternoon cup of coffee…. that it was flavored was a nice little treat. I am not a big coffee-house person, so one of the things that I really liked about this coffee is that you can pick it up at your local grocery store. 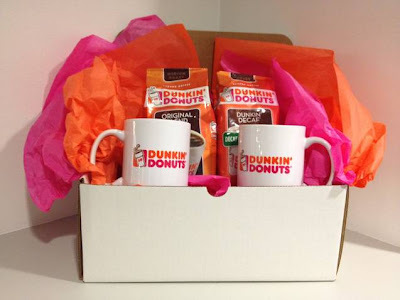 You can visit www.dunkinathome.com to get more information, and you can even go HERE and get coffee promotions, coupons, special offers and more. Want to win some of this yummy coffee? How about a Dunkin’ Donuts Coffee At Home Prize Pack? 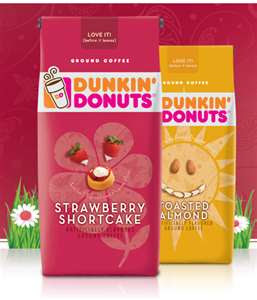 One lucky winner will receive one bag of Strawberry Shortcake, one bag of Toasted Almond, and two Dunkin’ Donuts mugs. I gotta try Strawberry Shortcake. It sound weird but also interesting. 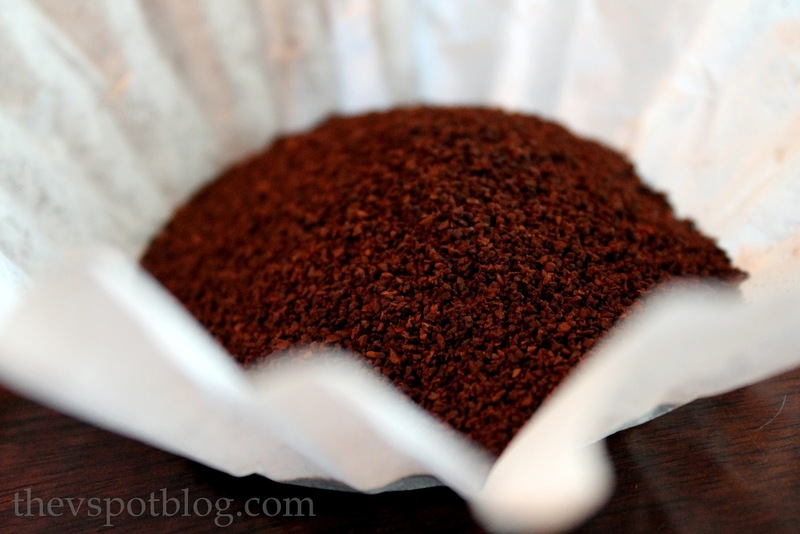 I love the smell of fresh brewed in the house. I’ll bet the amount would be amazing! Totally curious about the Strawberry Shortcake — can’t wrap my brain around it, so I’d love to try it! I totally want to try the Strawberry! I think I would enjoy the almond! Would love to try the almond..yum! Strawberry coffee sounds totally bizarre. I want to try it! I’d love to try both- I know I’ll like the almond, but the strawberry I’m curious to try! Dunkin’ Donuts coffee is my favorite!!!! I love almond flavoring, I think that would be a really great flavor! I think I would try the almond, love the nutty coffees! I’d give either a go but the toasted almond is right up my alley! Ohh Dunkin’ Donuts coffee is the best! Toasted Almond – Delish! I love their flavored coffees! I’ve never tried the strawberry shortcake…I wanna! I think I would love the almond. I LOVE Dunkin Donuts. They didn’t use to be in my state and I got hooked on them while visiting my sister. I would like the Almond the best I’m sure!! Like a darker roast too.Thanks for the chance. Mmmm…almond would be divine but strawberry could be interesting. I think I would enjoy the almond more, but definitely think the strawberry sounds interesting!